Based on reviews from 212 experts and 33,249 users. Learn how our rankings work or see our guide to narrow running shoes. Updated Apr 2019. Narrow running shoes are constructed on the same last as the standard model, but they have lesser space in the upper. This difference in space creates a more glove-like fit and helps prevent unnecessary movements. The difference may not look or sound that much, but the effect is very substantial as it can free the runner from pain, instability, and even injury. If the midfoot and heel sections have adequate security, a more streamlined upper should do the trick in a fit that is a bit lopsided. Slimmed down versions of standard shoes are relatively abundant. There are running shoes that can accommodate the needs of different types of runners. Narrow running shoes are available for those who want lightweight trainers, a stable, or a more cushioned and supportive shoe. The value of getting the best fit can never be overemphasized in a running shoe. It is the biggest key to having a comfortable ride. A runner is almost guaranteed of trouble, even a few strides into a run if the fit is nowhere near perfect. An ill-fitting shoe spells pain, regardless of distance or speed. If a shoe is too wide, a twisted ankle, black toes during descent and pain are almost guaranteed. If a shoe is too limited, there can be no question that blisters, hot spots, or irritations are bound to happen. The price tag or the logo has no bearing when it comes to fitting. Runners are advised to try on the shoe without bias towards a certain brand as any manufacturer can deliver the best fit for a specific individual. Here are some tips to help you find the best running shoe that fits well your narrow feet. Shop in the afternoon. When checking out for running shoes, try to go in the afternoon when your feet have swollen from standing, walking or working. It will give you a gauge in looking for the best fit. Bring your own socks. Try bringing your own socks for running. You can put these socks on to get a good feel about the shoe’s fit. When you are wearing your socks and your feet have widened to a certain degree, you should be able to have a very good idea that the right fit is there for the taking. Give extra room for the toes. Finally, with a slender fit, the rule of thumb is still to be followed. There should be half an inch between your toes and the end of the forefoot. 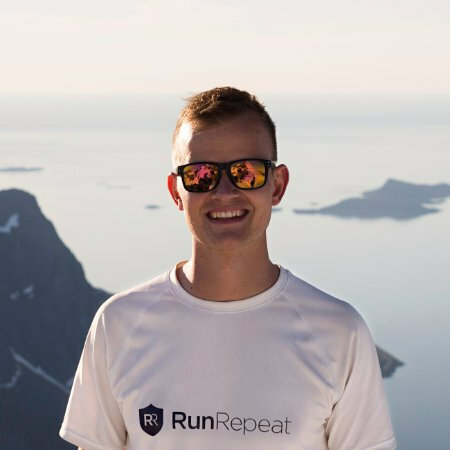 At RunRepeat, you will surely find a wide range of best narrow running shoes for men and women. These running shoes are positively reviewed by users. Below is the list of the best running shoes for runners with wide feet. The Brooks Ghost 11 is a road running shoe design for neutral runners. Because of its high-quality design and performance, the shoe is the winner of the Runner’s World Editor’s Choice award. It features the notable BioMoGo DNA midsole, Omega Flex Grooves, and breathable engineered mesh. Just like its predecessor, the 11th version of the Ghost has received a lot of positive feedback from its users. Meant for daily running, the shoe is heavy but with impressive ride quality. Available for men and women, this narrow running shoe is also available in medium, wide, and extra wide widths. Built for road racing, the Nike LunarSolo features a lightweight design and responsive cushioning. It is an affordable option for runners who are looking for a flexible and breathable competition running shoe. 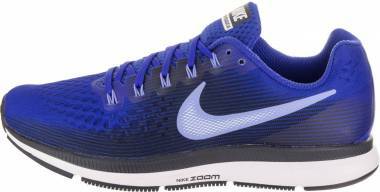 The shoe features Nike’s signature Lunarlon foam which gives runners light and springy cushioning. 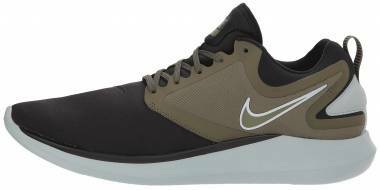 Aside from its minimal and street-ready design, wearers admired the shoe’s versatility; some reported that they were able to use the shoe during gym workout and other training activities. The LunarSolor is also available in a medium width for men and women. The X-Talon 230 is a lightweight running shoe meant for the trail, mountain, and cross-country running. The shoe features a sticky rubber outsole, Powerflow+ cushioning, and Meta-Plate shank. The mesh upper material comes with Durable Water Repellent (DWR) coating which gives the foot protection without compromising breathability and comfort. This running shoe with narrow width measurement is created with performance in mind; it gives runners the confidence they needed on varied terrains. The 8mm studs on the outsole hold firm on both soft and hard grounds. Overall, the all-new Inov-8 X-Talon 230 delivers increased protection, comfort, and traction. The Fresh Foam 1080 v9 is an expensive road running shoe from New Balance. Designed for daily running, the shoe has a high stack height with a heel drop of 8mm. This stylish running shoe is meant to help runners conquer longer runs without losing too much energy. The New Balance Fresh Foam 1080 v9 features a full-length Fresh Foam midsole for responsiveness and blown rubber outsole for durability. The jacquard mesh upper and the bootie construction provide support and comfort. To accommodate a wide variety of foot shapes and measurements, the men’s and women’s 1080 v9 are available in standard medium, wide and narrow width options. 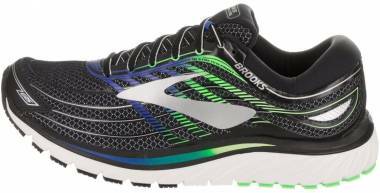 Designed to be a motion-control running shoe, the Brooks Addiction 13 offers a high level of support and stability. 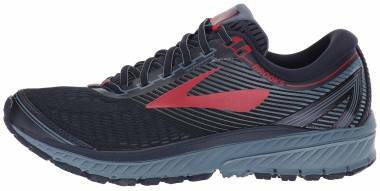 Though the shoe gathered mixed reviews from users, a lot of Brooks fans remain satisfied with its performance. The shoe features the BioMoGo DNA midsole for soft and adaptive cushioning, Extended Progressive Diagonal Rollbar (PDRB) for maximum support and stability, and lastly, it has a forgiving design to comfortably accommodate voluminous or flat feet. Wide-footed runners can also use this running shoe because it is also available in wide and extra wide width choices. To achieve the perfect fit, you might need to break in a new pair of narrow running shoe. Though some shoes take time to break in, there’s a secret to it. Here are the useful tips for wearing new running shoe quickly. For a few minutes every day, wear the running shoe around the house. It is important to keep the shoe clean; in case it doesn’t fit perfectly you can have it changed at the store. Wear the shoe for a week. It is best to walk in the shoe first and do not run in the shoe immediately otherwise, you’ll get blisters. It is best to allow your foot to adjust to the arch, ankle pads, heel and overall feel of the shoe. If there is no rubbing issue, gradually increase the time of walking in the shoe for two to five days. On your first run, run less than a mile and then use the old shoes and continue to run. On the next runs, about three to four, gradually increase the distance. What should be the right fit? The most comfortable fit hugs the foot in all the right place with decent flexibility for natural movement. It should be snug in the heel and midfoot without being overbearing and with enough room in the toe box for the toes to splay. The toes should be able to do the “piano” movement without restriction while the entire frame has adequate space, support, and security. Is shoe width true across all brands? Shoe width is typically true, but not all the time. A size 7 could vary from one brand to another. In some cases, even the same brands featuring different lines of shoes, but with the same size number, could even vary in fit. How do you know if you need a narrow running shoe? When you feel like moving all over the place or when the run is quite sloppy, a narrow shoe should be greatly considered. Getting blisters from unstable movement in the heel and forefoot are also indications of a fit that needs to be more snug all over. When you feel like you have used up every lacing technique possible and the shoe still moves like it has a life of its own, then it is a clear sign that a slimmer version of what you are wearing is required. Is there an extra slim shoe? Yes, there is. In an extra slim shoe, the last itself is 20mm narrower than the one used in a standard version. Together with the reduced space in the upper, the shoe should wrap the foot comprehensively. If the heel and midfoot sections move freely, an extra slim frame should be really considered. Are narrow running shoes common? Slightly slimmer shoes are not as common as a wide version. But, before you cry in desperation, there are still more than enough brands that continue to produce the narrow option. The number of options coming from different producers also enable you to extend your choices. Getting the right fit should not limit you to one brand because of the numerous alternatives available.